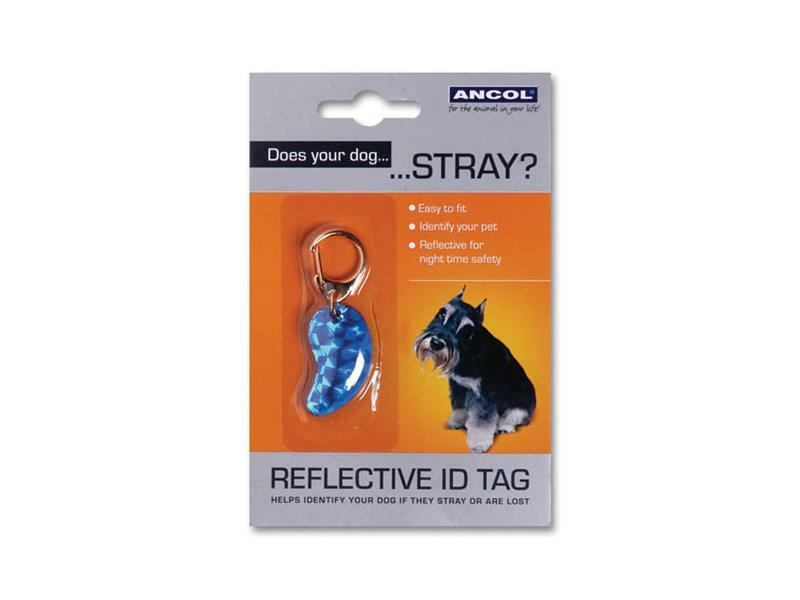 Ancol Reflective Tags for Dogs. These Fun And Colourful Reflective Identity Dog Tags are available in 2 styles: Bone And Waterdrop. 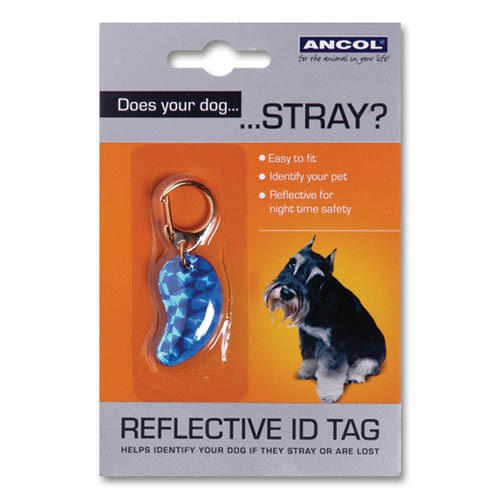 There are currently no questions for Ancol Dog Reflective ID Tag Assorted - be the first to ask one!